Every day, it seems, there’s a news story about hidden bank fees or household debt. Less reported is how hard it is to get by without plastic in the United States. Many utility providers, landlords and more don’t accept cash payments, so consumers who are unwilling or unable to open a bank account or take out a credit card have to pay for money orders or spring for potentially costly prepaid debit cards. But though nearly 30% of American households are un- or underbanked, few payment startups have tackled the issue. PayNearMe partners with local and state governments and businesses ranging from auto loan servicers to property management companies. If you want to pay rent, make a loan installment or pay your utility bill, simply bring your bill along with a PayNearMe barcode to your local 7-Eleven, ACE Cash Express or Family Dollar store. There, the cashier will scan the barcode, and you can pay the bill with cash. Once the transaction is completed, PayNearMe automatically lets the biller know that you’ve paid and gives you a receipt as proof of the transaction. Your funds are posted to the biller’s account right away. Businesses also can send barcodes to customers’ smartphones, making PayNearMe easier and faster to use. According to a Federal Reserve study, underbanked Americans are more likely to own a smartphone than the overall population, so the option of pulling up a barcode on a phone makes PayNearMe even more convenient. It’s exciting to see a payment startup put its focus on the financially underserved, who are increasingly left behind in the shift away from cash. 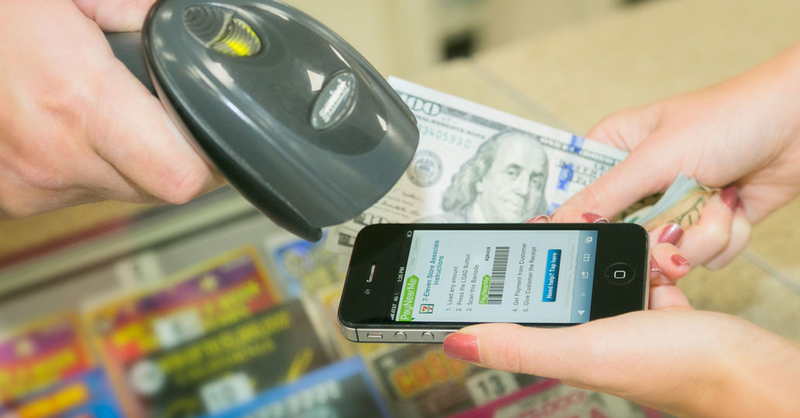 PayNearMe offers a convenient way for consumers to use cash for their transactions. It’s accessible, too: There are more than 17,000 payment locations nationwide, and nearly 8,000 of those are open 24/7. Online banking customers might take round-the-clock access for granted, but post offices and banks—two common sources of money orders—have limited hours. Perhaps more important, PayNearMe’s convenience store partners are spread throughout the United States, reaching into both rural and metro areas. A 2011 New York Times analysis found that banks were closing branches in poorer areas, making branches less available to those most likely to need them. The distribution of 7-Eleven, Family Dollar and ACE Cash Express stores is more even across income brackets. Low-income households are much more likely to be unbanked, so providing convenient locations is key. In short, PayNearMe offers a lot of promise, not just for the product itself but also for what it represents: tech companies helping out the everyday consumer.